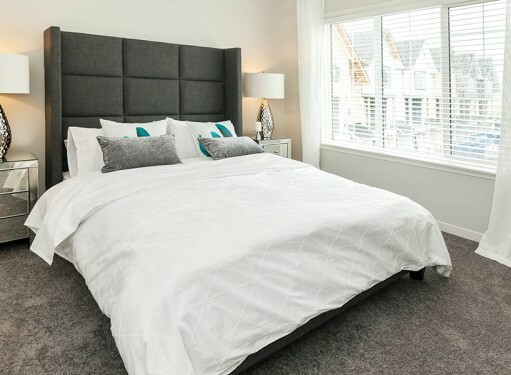 With over 10 years of award-winning experience in building multi-family developments in Calgary, Cedarglen Living is the sister company of Cedarglen Homes. Our goal is to develop attractively-priced and luxury-quality town homes and apartment condominiums for discerning Calgary buyers. 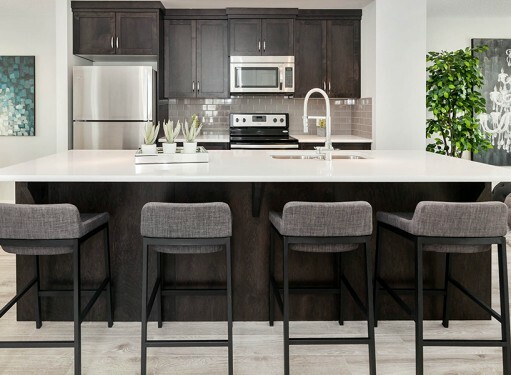 Connect with current Cedarglen Living projects, or contact us to learn more about how we can help you achieve the living space of your dreams. Subscribe to our newsletter to stay in touch! Be the first to know about future Cedarglen Living projects, and receive useful tips on designing and maintaining your apartment or town home. They have been a n outstanding builder. The people that came to the house have been knowledgeable and helpful. Keep up the good work. On the home orientation and possession days, the builder continued to set a high standard by noticing issues themselves and moved quickly to correct them (e.g. cleaning the grout in the den/mudroom area). 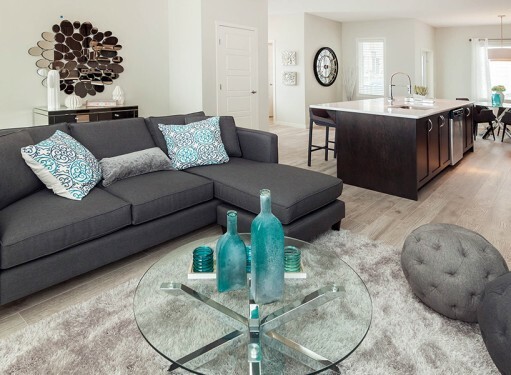 Being comfortable and confident enough to note their own "errors," shows Cedarglen's commitment to a high quality home and respect for their customers to deliver their dream homes. Great form of communication, great build, very satisfied. Its great when the Builder is in constant communication and is this involved. More access to the house during construction. The person who was the direct contact at the show home. We were told that she was the one to contact . We ended up having to set it up with the district manager. Overall good experience. No complaints. There are a lot of nails, broken glasses and metal laying around the sites. This can cause damage to car tires if nobody cleans them up. I’ve been living in my new home for a while and found out that there’re nails underneath the carpet. I stepped on one of them and it was hurt. I hope it would be fixed on the 60 days inspection. Thanks. At this point, I do not believe I have any recommendations. It was a great experience, overall. trying to schedule for the one year warranty check. They request that I am available from 9-5 on weekdays and I am not available any of those times. It has been an ongoing issue. We love our new home. Location , proximity to amenities, and the community is awesome. Carpet & underlay are substandard. In terms of the house itself, it's good. The surrounding area and upkeep is lacking and should be addressed. Clearer communication for the repairs happening outside of the house would be good. My first tenant moved in and it was after the two months and I had to pay for the move in. Everything was good. No complaints. Everything was satisfactory. We were expecting a good market but it went down. The phase one has no space for storage. IT is difficult to get an item stored. It is a lack of consideration in the design. There are some structural issues like the basement. There are is water damage and other issues regarding the housekeeping and landscaping up keep not up to proper standards. The fence perimeter around the building I don't feel secure. The design is very good its excellent and the quality of the materials could be better especially the taps, bathtub not good quality. The inside of the dishwasher is not fixed I waited a long time they should not wait till warranty is over. Overall very satisfied it was smooth high quality followed up on time very happy with my experience. When we bought this house they said we would get underground storage but now it does not exist any more. Otherwise its all good. Central Air Conditioning would be good to have throughout the house. They offer split AC in living room but expensive. Its been a great experience. Everything was really good I had no problems The condo was turned over to us earlier than expected. Good quality. They have a very friendly staff and they are efficient overall good builder. This is our 3rd home (by 3 different builders) and the best experience we’ve had - very impressed with how well the home was built and how great the people are. We’ve definitely raved to family and friends about Cedarglen Living, whether they’re looking to buy or not. We’re considering downsizing one more time in the future and we’ll look into a Cedarglen condo before any others as long as the community is one we want to be in. Thank so much, my wife and I are satisfied with the house and the service of Cedarglen' staff. Just want to thank Ward and his team for this experience in buying our townhouse. Ward addressed any concerns immediately, even some texts on weekends! The service follow ups were very well arranged and reminded. I would highly recommend Ward and Cedarglen Living. I am an older customer downsizing to a condo lifestyle. Cedarglen living is operated by a younger generation and I just could not believe how they managed there affairs in their business. They were extremely professional and treated me with respect throughout the building process. I just love my new residence and the location it is in Seton. I will remain in this property for as long as my health permits. I would recommend this company to any of my friends which I have done already and they have also made purchases. Great experience from the time of purchase and through the possession. I would highly recommend Cedarglen Living to everyone. Danielle and Kat at the show suites at 20 Seton Park SE, Calgary, were extremely professional, courteous and helpful during the process from beginning to end. They were always available for questions and enquiries which resulted in us having a very positive experience with Cedarglen given that this was the first time we have built with Cedarglen and our first experience of condo living. We have been extremely pleased with the after possession customer service. The air conditioner in the unit has had many problems but the response by Ward Haggins has gone beyond exceeding any of our expectations. Anytime I have contacted him, he has responded almost instantaneously, even to the point where I once got an automatic out of office reply to my email (stating he was gone on holidays for the week), only to be followed up a few minutes later with a direct response from him. It really comes across as sincerely caring about his work and the customer's well being. The air conditioning tech, Ken, also has gone to great lengths to work on the problem we are having. We are impressed by Ward's dedication and it appears to reflect in the staff he has working for him, as they have all been courteous and helpful as well. As a result we would recommend Cedarglen to any of our friends and family. They did a great job and great value. Not everything was perfect but they took care of everything. Good communication and I would recommend them. Our overall experience during the entire building experience with Cedarglen has been excellent. 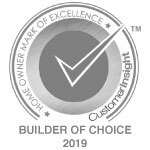 We have worked with several builders over the years and Cedarglen outperformed those builders particularly in the areas of product delivery, fulfilling timelines, communication, and upgrade selections. It's a good builder and they keep their promises. I don't like the garbage removal area. They need some changes there. Everything has been fantastic. I would buy another Cedarglen property again. On site workers and security staff were always pleasant and helpful. They said outside would be a future garden. It was nice that it finished quick and they got it done already. We didn't expect it until next year. I am very happy with Cedarglen Living as my builder and love the condo. The only negative experience is my ceiling fan and it will be getting removed and I will be reimbursed the amount I paid and I will install my own. The surprise with it is it should be working properly and it truly isn't. I have the kitchen cabinets fixed and that was a wonderful job. Cedarglen Living was exceptional to deal with from the time I purchased to when I took possession of my home. They cared about me as a customer and always delivered above and beyond my expectation. I would recommend them to anyone looking to purchase their first home! This is our first home and we really love it. My brother in-law who lives in Edmonton really liked our home and was looking for homes built by Cederglen in Edmonton but realized that Cederglen does not build homes over there. The building process was efficient and throrough! I would buy with Cedarglen again! I am just a happy customer. Honestly, every 10 that I gave out during this review was well-earned. Any time I had an issue, Ward addressed it immediately and went above and beyond. We are thrilled with our home and would recommend this builder to anyone. Cedarglen Living has been pretty quick to get issues resolved, and Ward has done a wonderful job communicating to the homeowners. I loved my experience with Cedarglen Living! Danielle was super helpful and friendly during my purchase experience, and Taylor and Raleigh have been fantastic to deal with since I've taken possession. The unit itself is beautiful and spacious. I really like the floorplan and the kitchen is my absolute favourite! It feels like a full size kitchen and not at all like a typical compact condo-sized kitchen. There's plenty of storage space and the cabinetry is especially well done. I bought a spec unit so perhaps some finishings may have been an upgrade that I missed the chance in selecting, but I do wish that the plumbing fixtures were the same brushed nickel finish as the rest of the hardware throughout the unit (door knobs, cabinetry pulls, light fixtures). The ultra modern bright chrome taps don't quite fit the style of the rest of the unit. I also would've liked the lighting fixtures to be of higher quality; they were extremely flimsy and basic and I've since replaced most all of them myself after taking possession. I also REALLY wish the ceiling texture was a knockdown finish; the stipple texture feels very dated and I had a lot of it crumbling off in the first few months after possession. Heating/cooling has been an ongoing issue; the unit is very warm at all times, even in winter. A rough-in for A/C (even the high-mounted wall units that vent through wall to outside) would've been an excellent upgrade that I'll definitely consider if I was to purchase another apartment-style condo. But overall, I'm very happy with my purchase and would definitely recommend Cedarglen Living projects to others in the future. The customer service alone was far better than I had ever expected! Great job Raleigh and Taylor! The whole Cedarglen experience was wonderful. It made the process of buying our first home flawless. They have been awesome. 0 hassle. even when we took ownership it was great. Overall it has been awesome. EVERY step of the process of buying, moving into and living in the home for the first year has a been an incredibly positive experience. This is my first home and I was new to the entire purchasing and warranty process. Every Cedarglen representative was extremely helpful and patient. I've heard horror stories from friends in regards to their builders and my wife and I very thankful we didn't have those same experiences. Thank you, Cedarglen! We are impressed with the quality of the workmanship, the response speed when we had a concern, the amazing team that always listened to our questions and concerns. Everything was great! I enjoy my new wonderful home and the location to parks and areas to walk around. With my unit, it would have been nice to have a two-way switch for the living room lights. One at the current location, and the second at the base of the stairs when going to bedrooms. It would also have been nice to have a 'broom closet' on the living/kitchen area where one can store a mop, broom, and other items of length. Otherwise I am extremely satisfied with the service I received along with the quality of the workmanship. The unit has a wonderful layout for a townhome. It is spacious and comfortable. I didn't have a negative experience at all. As a first time home buyer they made things very easy for me. I would recommend them to anyone. I am so happy with Blake because he is a very commitment worker and solve the construction problems quickly. Can't speak more highly of everyone we've encountered through this entire process. Having bought a new house from a different homebuilder previously, we recognize Cedarglen Living exceeded all of our expectations in every aspect. Everyone at Cedarglen as been a pleasure to build with since day one. There were a few things that were pointed out or promised to us on our possession date that didn't happen when we were told or still arnt done. Our sales rep Ward and Blake have all been fantastic knowledgeable and easy to work with! I found their service is personable . Ward and Riley were always responding in a timely manner. "This is our second residence from Cedarglen and we are buying a third condo that will be completed in Seton in 2018. Excellent workmanship, service and price." Cedarglen, we have a house and a condo with them. When it was time to buy a home we went all over but came back to Cedarglen. They use the space well. The space is well used and designed. I like the decorations and what we like. We are from Europe and we went a lot of places and came back to Cedarglen for the price and quality. If we have to buy another we will probably come back to Cedarglen. Everyone has been very kind and responsive to our questions/concerns! We have had an amazing experience! Great house. The customer service was amazing, I truly felt like a valued customer. The site supervisor Randy has been outstanding, his initial walk through with us was very thorough, he demonstrated all of the features of the home and took the time to answer any questions we had. He also pointed out and fixed many deficiencies that we did not notice. Overall, I have been very happy with the work that Cedarglen Living has put in. Had a great experience with everyone I spoke with at Cedarglen. Since taking possession Randy has been great with touch ups. The exterior of our home has yet to be finished(e.g. Trimming, corner of garage, finishing of painting). We have had an overall good experience with Cedarglen. Right from the beginning, my wife and I were extremely pleased with the service we received. In particular, we were extremely pleased with the service Brett Gartley provided us. From the first night we saw the house, through the entire process, right until we got the keys, Brett was more than helpful and extremely patient with all the questions we had. He always made us feel taken care of and promptly delivered expected results. Every encounter we had with Cedarglen employees (sales reps, managers, construction workers) were amazing and always positive. Thank you all for helping us get our first home and making the process an amazing first time home buying experience! Cedarglen personnel have been amazing. Guest parking is hard to find and not well organized. The elevator foyers and the halls are rather dark. The furnishings and decorations in the entrance foyer are less than expected for a building of this quality. We had some difficulty coping with the lack of storage space. We had to add extra shelving, storage and cupboards after we moved in. The parkade storage is pathetic. The cost was not the issue, but the inconvenience and mess were. We would have preferred it if the builder had allowed us to do make these storage upgrades prior to moving in. We still think we got good value for money and we especially enjoy the view, the location, the energy efficiency and the overall quality of the construction. Fantastic people to deal with - Danielle, Chris and Taylor, as well as Raleigh and Kristie were all very professional and approachable throughout the process. Best costumer service than I could imagine. I had previously build a home with a different builder and it was the worst experience of my life so I was worried about buying brand new again, but Cedarglen's employees we really nothing but amazing. Always available to help. I appreciate the quality of service I've received. This is the second time I bought a house with Cedarglen. We are happy with them and we like the house. I moved into my townhouse last July 2015. My site supervisor was amazing Randy Marriott. Randy was so helpful and prompt, any concerns were addressed immediately. Everybody was personable. The admin asst for the builder. Christy, went above and beyond to help us. Everyone was friendly and personable. The sales manager Danielle (new Brighton) is amazing. I didn't think it was possible for my husband and I to buy a home as soon as we did. She helped us more then was nessary. She is a very kind and knowledgable about the building process and truly wants what is best for each customer. Out of all of Cedarglen representives I've met she is one of the best. Overall our experience was amazing. From Danielle in sales to Kristie in the office and randy on site everyone has been incredible . All of them going above and beyond . I work for a large corporation and have raved to everyone about your team . Hopefully some of those people call and get into one our your beautiful homes . We are so happy here.